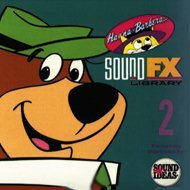 The Hanna-Barbera Sound Effects Library is contained on two CD-ROM for the E-mu Systems Emulator III/EIIIX/ESI/E4 or Digidesign SampleCell. Known for the wacky sound effects on The Flintstones, Jetsons, Huckleberry Hounds, Smurfs, etc, this library is loaded with laughs. But these volumes are more than just fun. Many everyday sounds from animals to airplanes to water effects are part of the library. All the sounds have been restored with Sonic Solutions, are completely noise-free and come in mono format. 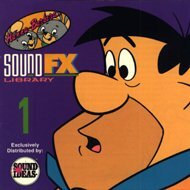 There are 2 volumes for a total of 2,000 sound effects all categorized for quick loading into the EIII/ESI or SampleCell (Sound Designer format). At $495, the comedy set to flip for has finally arrived.